A farmer is a person engaged in agriculture, raising living organisms for food or raw materials. - Thank you Wikipedia! I am therefore by definition a farmer because as of today (tonight) i am raising worms for raw material - that being castings and tea. I know that this is not seen as such a big deal for some but for me it is one step further along the permaculture road i started last year. A few weeks ago Aldi, God bless them, were selling Worm Farms for $49. At the time even this small amount was too much but my dear mother gave me $50 for my birthday and then my mother-in-law gave me more so i not only have the hardware but the software as well. That's one way to describe 1200 little wrigglers. I have Tom with me today, telling me how i should do this post, so i am being careful to put all the instructions in full. Wink! 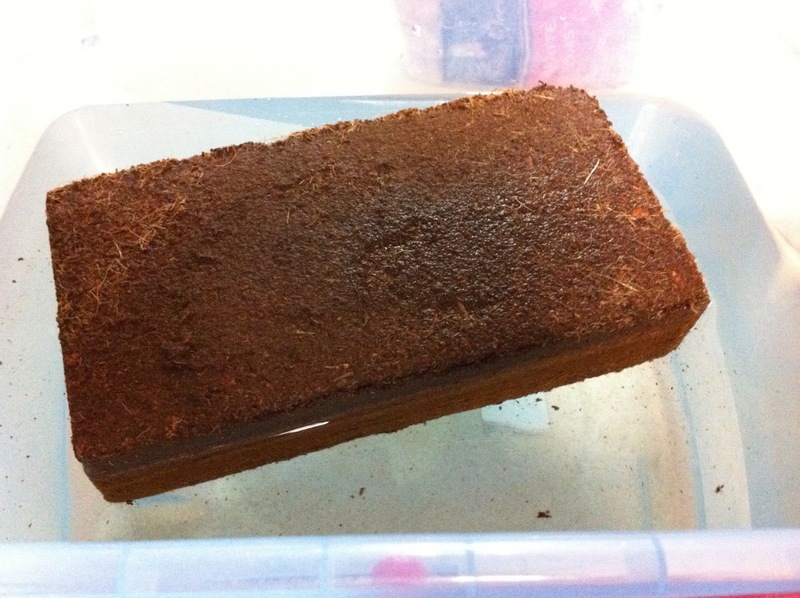 Take the coir brick and place in bucket of 6.5L of water. 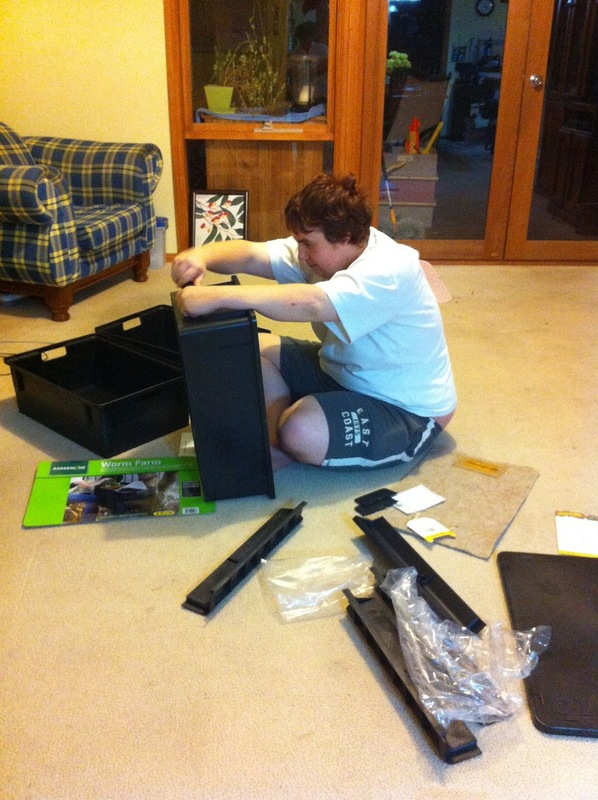 Enlist the help of one teenage son to first read the instructions - this is important essential training for a future husband. Then assemble as instructed - not what you think! It looks like a worm farm to me. Pause - we are waiting for Dad to come home now so we can open the bag of worms together and assemble everything! He's been visiting his mum for the day. OK, its now 10.30pm and we can keep going. 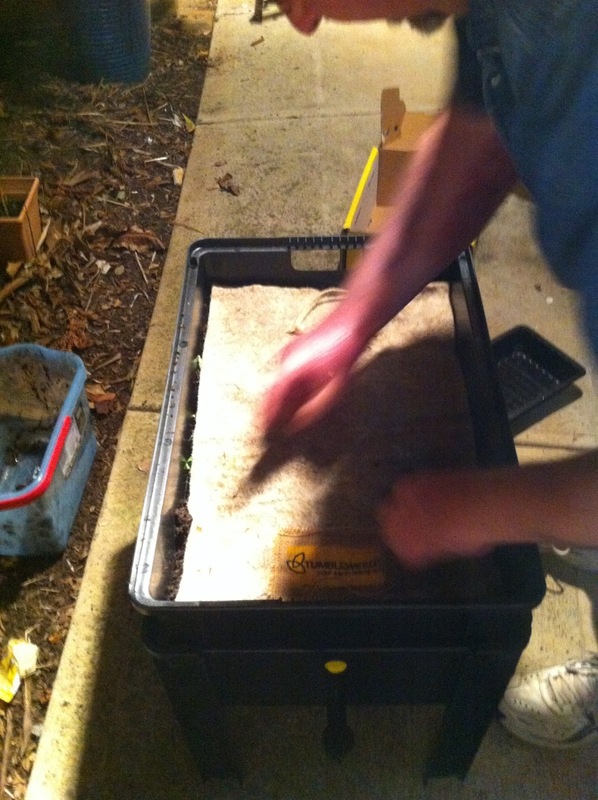 Place the cardboard provided in bottom of working tray and then put expanded coir mulch on top. 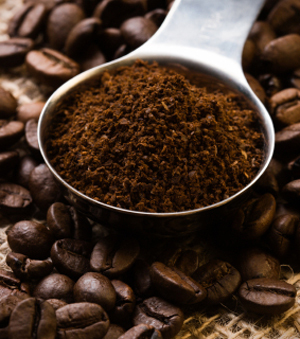 The cardboard will breakdown and the moisture in coir will keep soil and worms moist. 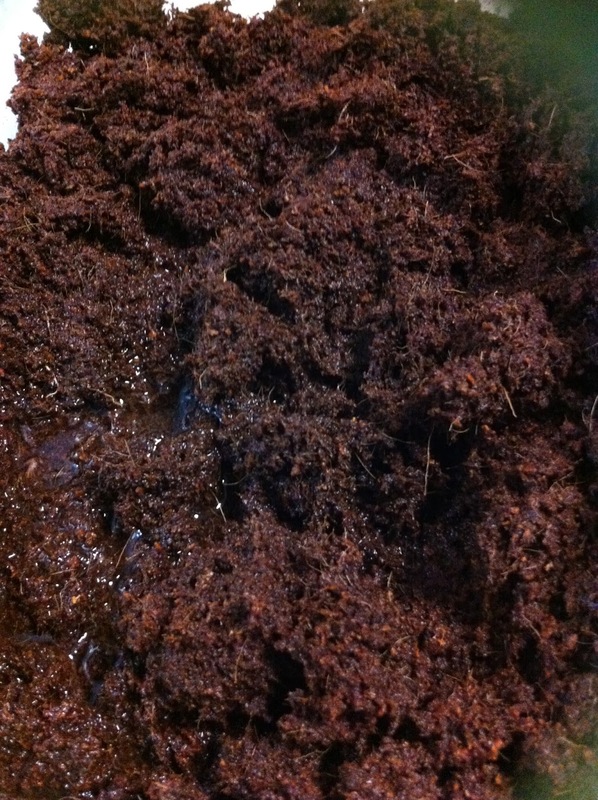 Then spread the worms on top - they will immediately try to hide as they don't like direct light. Provide them with a small amount of food. Note that it will take a week for them to adjust to new food source and so you wont notice it missing for a while. It should be cut up smaller but it will be broken down by end of week the way it is. Then place blanket that has been soaked and rung out on top. My husband actually said "Goodnight Wormies". Cover with lid. Its final resting place, just outside kitchen window so that i don't have far to add kitchen scraps (see menu below). My husband's last parting comment was "Welcome to the Family", followed by my parting shot was "you'll soon be fat like everyone else in the house". Sign of lunacy - talking to worms! 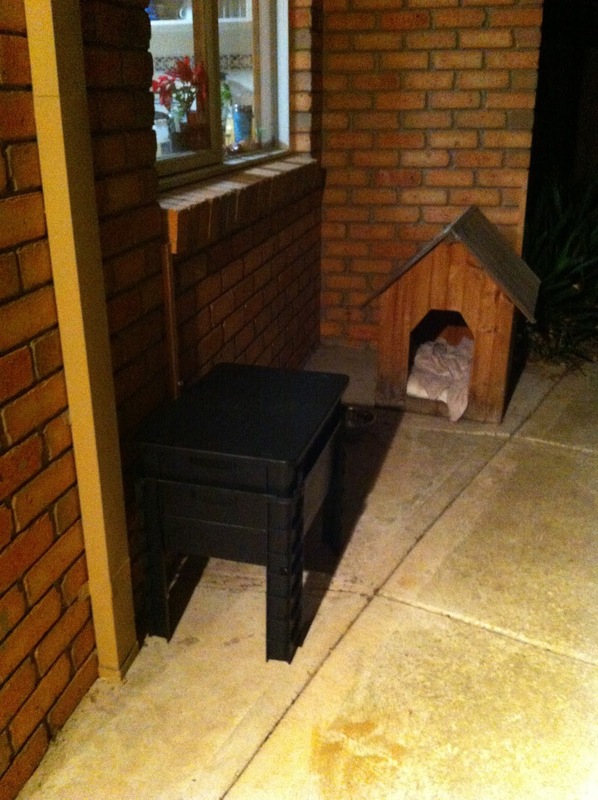 Or is it that after a full day at work, 11pm is time for bed, not worm farm building. The following information is intended as a reference for anyone who might be thinking of undertaking the same adventure. Its taken from the manual that came with the farm. Most of it i already knew as i had attended a council sponsored composting course with Shoestring Gardening and VEG - Very Edible Gardens in October. 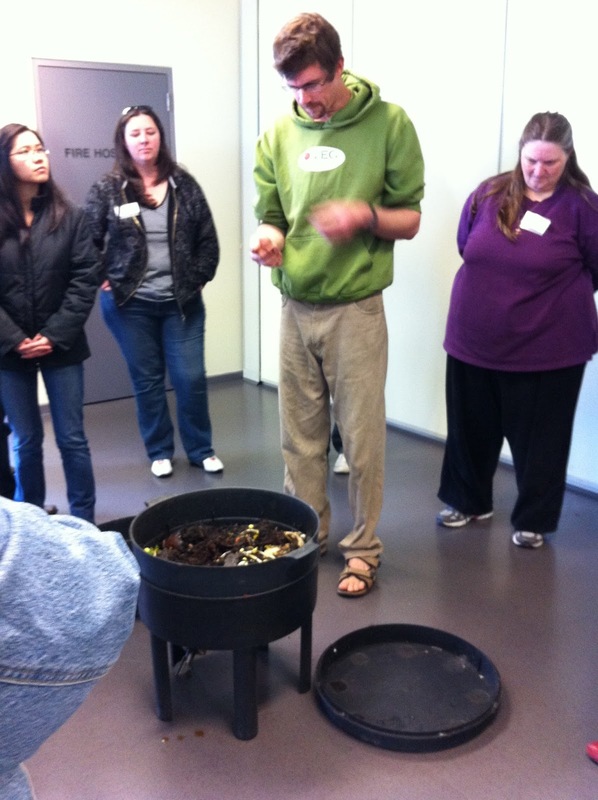 Composting worms will eat anything that was once living, that means organic material. They like diversity of organic matter. Worms have small mouths so they can eat faster if the food is smaller - chop it up or process it if you want it to break down quickly. Warming it in microwave with water can also speed it up. 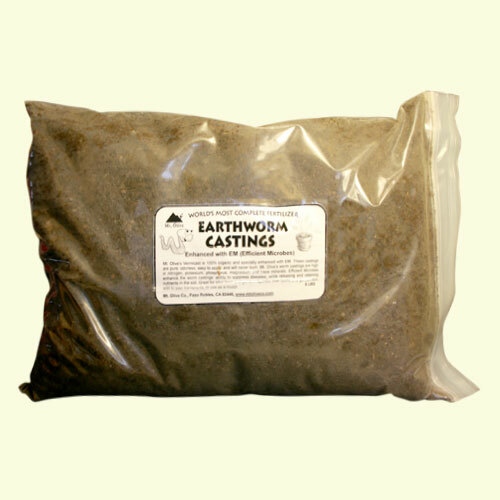 Fishing Worms - Make up a mix of 50% chicken pellets, 10% wheat or corn flour, 10% powdered milk, 20% bran, 10% lime or dolomite - sprinkle on food waste every couple of days and in several months you will have fat, tough worms ready for fishing. Start out with only one working tray and when the casings have reached 2cm above the moulded line stop feeding them for a week to make sure that all the food has been eaten. Place the second working tray on top making sure that it rests on the castings. Worms cannot jump. 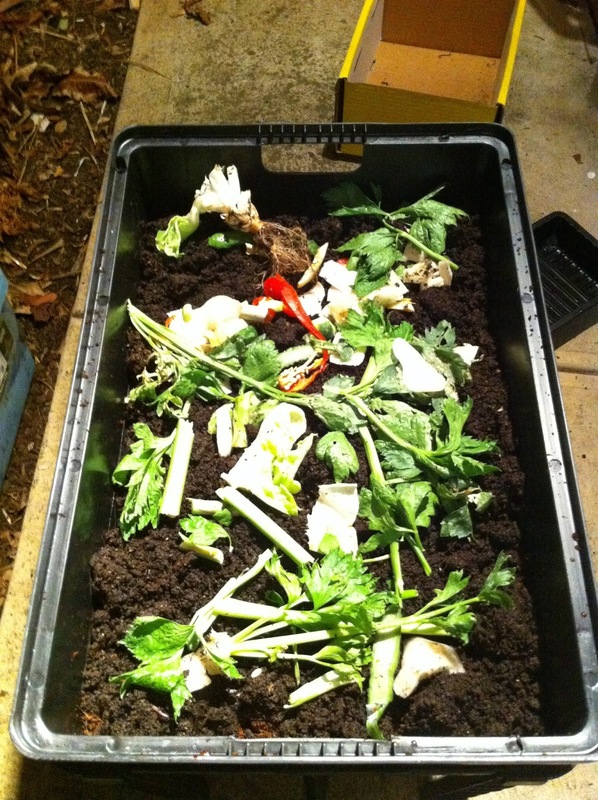 Place food in second tray and cover with blanket and the worms will move up into second tray. When you reach the top of the second tray, the worms will most likely all be in the second tray and you can use the contents of the first tray in your garden. The castings and tea have a neutral pH level of 7. Castings are the black bits in the soil and will help your soil breathe and hold water whilst encouraging more worms and microbes. It is excellent fertiliser that stimulates growth, colour and quantity of flowers, fruit and vegetables. 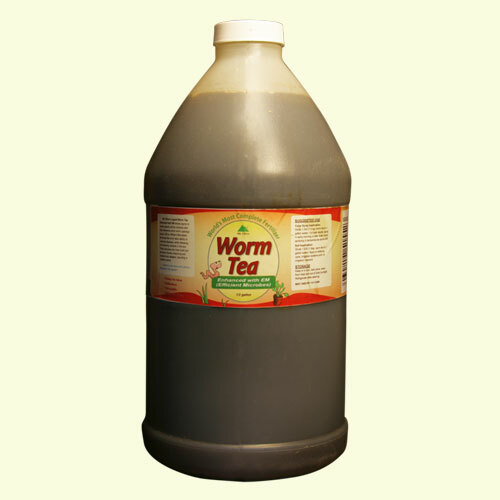 ﻿﻿﻿﻿﻿﻿﻿﻿﻿﻿﻿﻿﻿﻿﻿﻿﻿﻿﻿﻿﻿﻿﻿﻿﻿﻿﻿﻿﻿﻿﻿﻿﻿﻿﻿﻿﻿﻿﻿﻿﻿﻿﻿﻿ Worm Tea is a nutritious tonic (Yum - must try it for breakfast - LOL) and is helpful when your veggies and plants are flowering or fruit ripening. It also supports diseased and stressed plants, protects them against insects and helps establish young plants over two weeks old. I am looking forward to having two more items that i can trade at the veggie swaps. 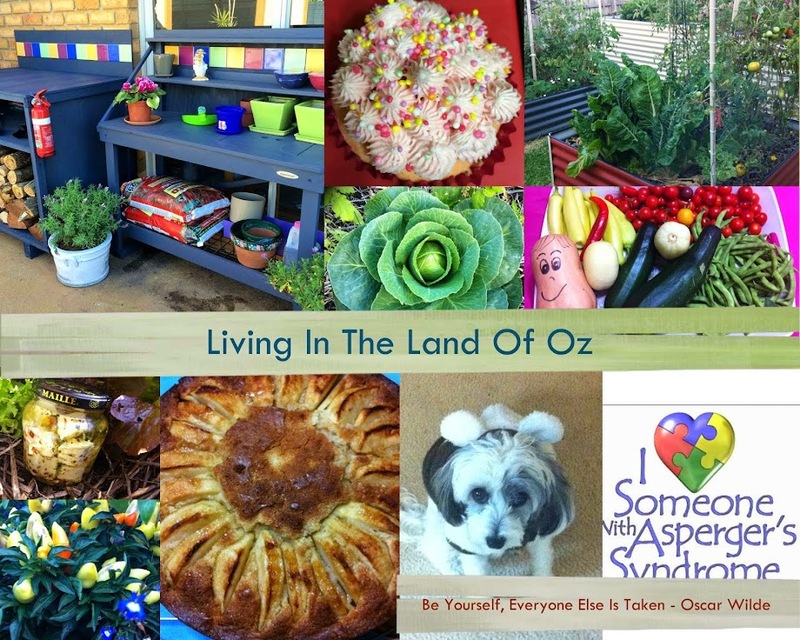 My garden doesn't produce too much of a glut so its nice to be able to make a contribution. 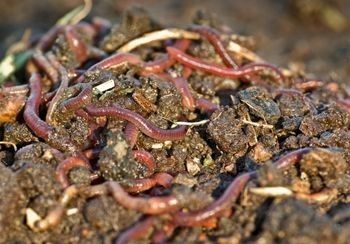 How can i help my worms eat more? Why wont my worms start eating the food scraps? Should i add water to the worm farm? Why aren't my worms moving up into the second tray? What to do when temperatures are extreme. 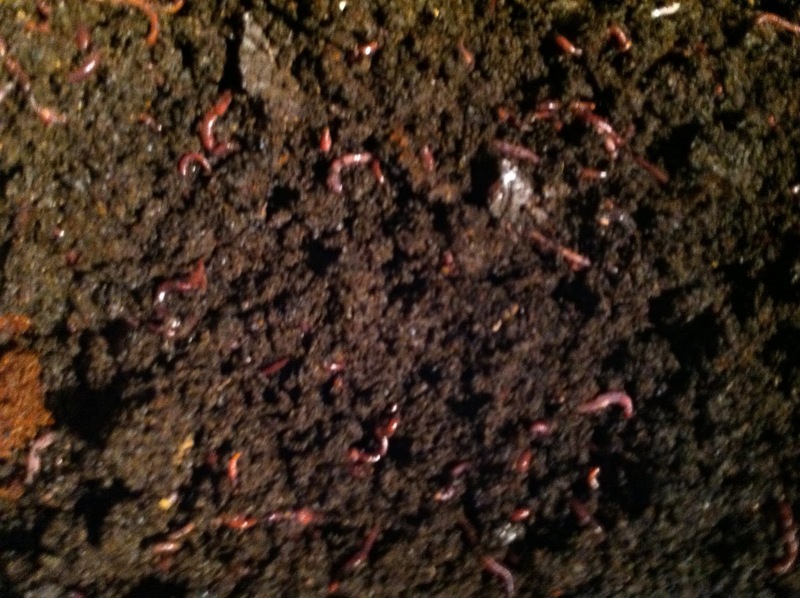 Its raining and the worms are gathering in the lid. What do i do? Could the little white worms in my worm farm be baby worms? Will the worm farm attract flies? How do i keep ants out of my worm farm? Will the worm farm smell? There are still worms in the first working tray and i want to use castings. I hope Ive given another beginner a basic understanding that none of this is hard work and will add yet another dimension to your back yard and family life. Fantastic post. The only thing I would add is to make sure your worms stay warm enough and don't get toasted on a stinking hot day in direct sunlight. And well jealous that you scored the last worm farm! 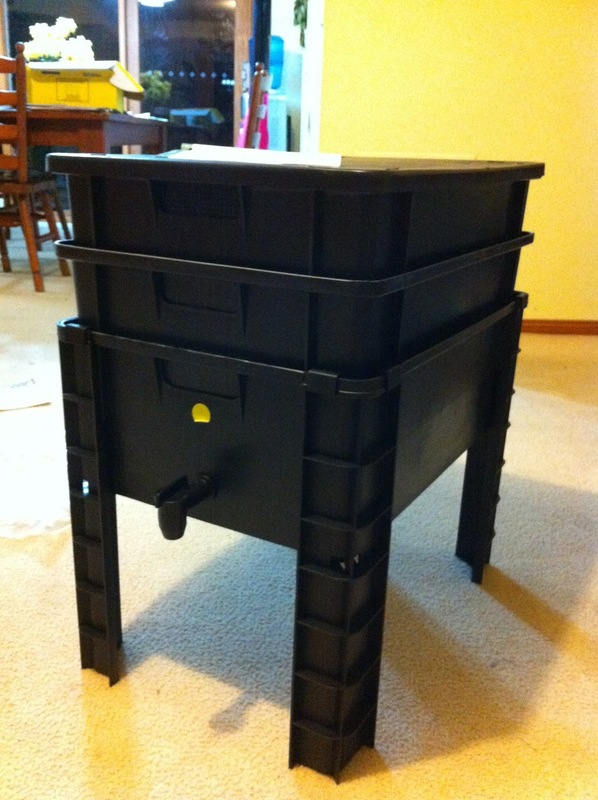 I'm in the process of building a worm farm, and should be picking up the worms in the next few days. I cat wait to have the amazing beneficial little creatures wriggling around!